A female victim was walking up her driveway when an unknown male suspect pointed a black hand gun at her, cops say. 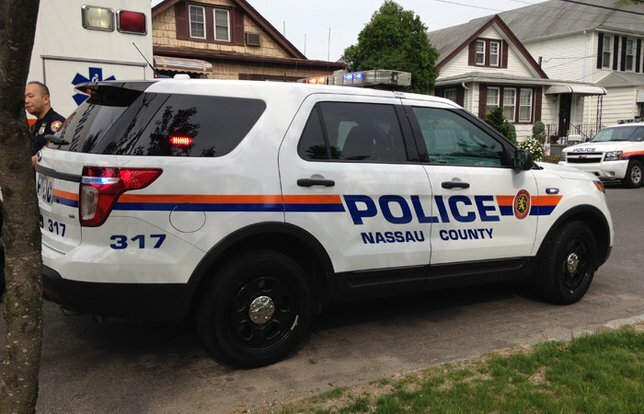 NCPD are investigating an attempted robbery that occurred in Roosevelt. Roosevelt, NY - January 21, 2019 - The First Squad is investigating an attempted robbery that occurred on Saturday, January 19, 2019 at 4:40 A.M. in Roosevelt. According to detectives, a female victim, 30, was walking up her driveway on Monroe Avenue when an unknown male suspect approached her. The suspect pointed a black hand gun at the victim which caused her to fall to the ground and start screaming. Hearing the screams, the victim’s boyfriend opened the front door to their house and came outside. The suspect immediately fled the scene and jumped into the passenger side of a grey Nissan SUV with unknown Pennsylvania license plates, which then took off northbound on St. Francis Street. The suspect is described as being a male black, unknown age, approximately 6’2’’, medium build and last seen wearing a black hoody. Subject: LongIsland.com - Your Name sent you Article details of "NCPD Investigating Attempted Armed Robbery of Roosevelt Woman"